Ethics and environmental consciousness drove this project by DIALOG at the University of Calgary. So often when we see a new “green” building, it is on the site of some old building that got demolished. The new concrete gets poured and it takes decades for the new green building to pay back the carbon debt from making the cement. Nobody has ever paid much attention to that embodied carbon. 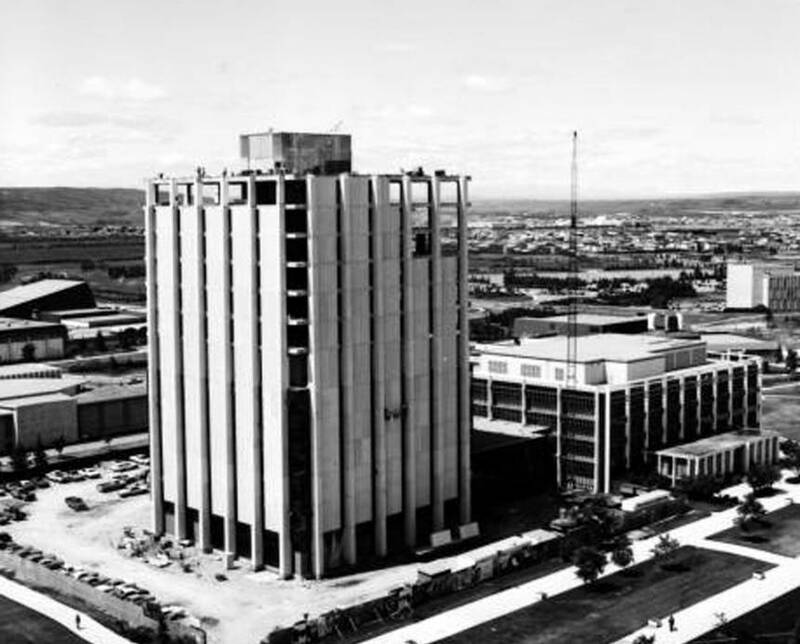 Souleles says wholesale demolition of the MacKimmie Tower, the link and academic block, was never on the table largely because of its environmental impact. 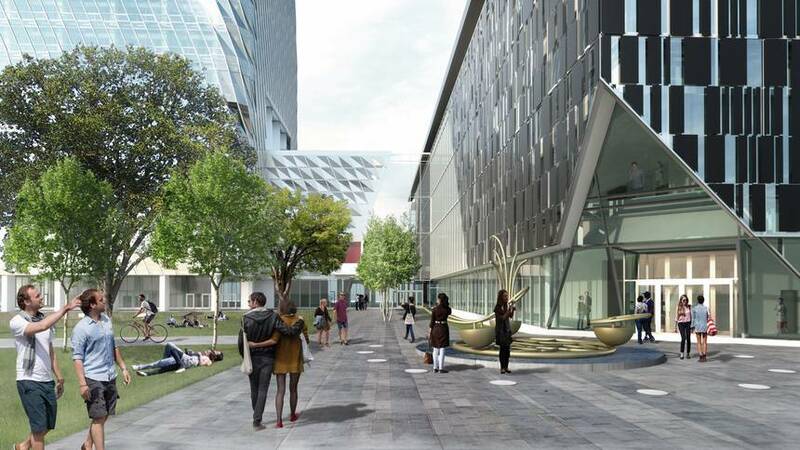 “Based on the ethics of the University of Calgary and its office of sustainability one of the primary drivers of the project is environmental consciousness,” Souleles says. Although operational carbon emissions represent the key focus of the Zero Carbon Building Standard, there is a growing awareness of the importance of addressing the embodied carbon and other GHG emissions associated with building materials… Applicants will be required to report the embodied emissions of the building’s structural and envelope materials using life-cycle assessment (LCA) software. 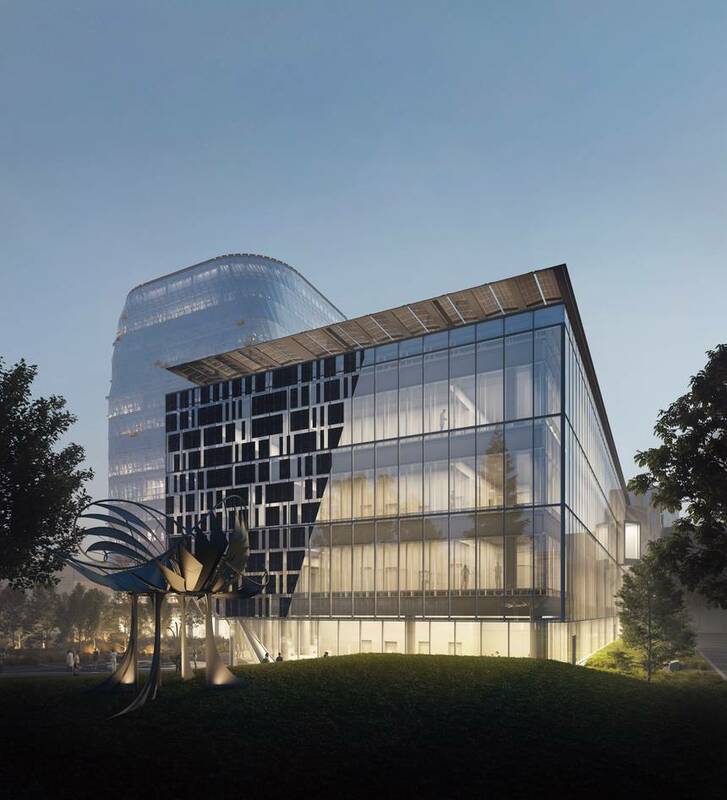 The embodied carbon requirement has been limited to reporting, to encourage the building industry to grow capacity for conducting LCA – a practice that is still relatively new in Canada. Serious credit is due to the University of Calgary and the architects for being way ahead of the curve on this issue. Credit is due also to the CaGBC for acknowledging it. 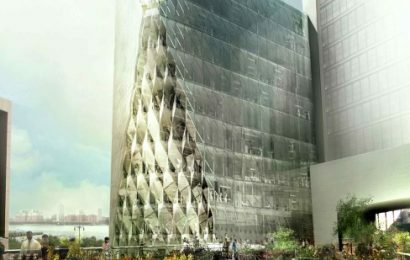 Made primarily by glass and concrete, metal photovoltaic panels and stainless steel cladding create a ‘breathing’ façade that uses natural light as a building material and allows the buildings to respond in harmony with the natural capital of wind, sun, and soil. The new double wall façade with high-performance glass, in conjunction with ventilation flaps and shading, ensures comfort in the building and at the same time reduces the need for mechanical ventilation. The natural ventilation of the double façade is actively regulated, so that a thermal buffer is created around the building, which contributes significantly to achieve the ambitious building performance targets. 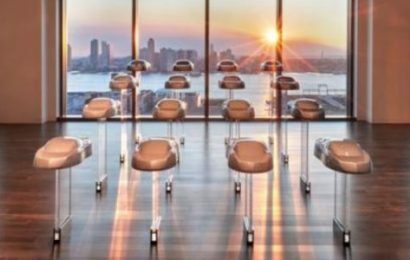 To accommodate an environment for education we asked ourselves how we can use design to participate in modern-day teaching and learning in a way that will go beyond technology and programming. As one example of many, we are proposing a building skin that makes its energy-modelling systems tactile, or visible to the eye, as a way to make climate change conversations a permanent fixture in life on campus. By extending the new exterior skin beyond existing column lines, a new façade enhances and pays homage equally to the original 1966 tower structure. A photovoltaic panel appliqué is designed to retain the highest-possible amount of solar energy. As I noted in an earlier post, the. 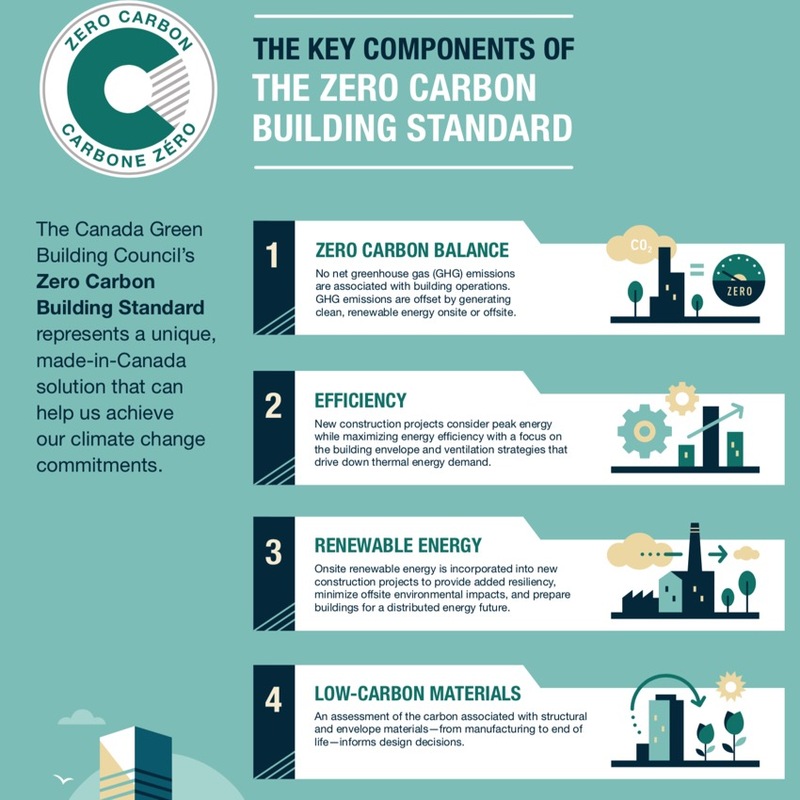 CaGBC’s Zero Carbon Building Standard goes beyond just zeroing out carbon, but has limits on energy consumption and energy demand intensity. 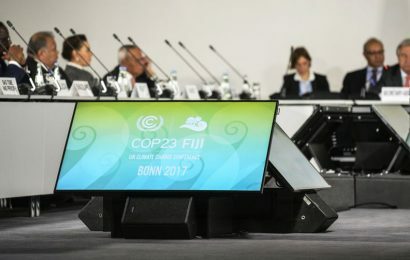 It requires that the energy purchased offsite to balance out to zero be low-carbon renewable energy, which should be fun in a province where 87 percent of the electricity is produced from fossil fuels. It’s terrific that they saved so much of the existing building. 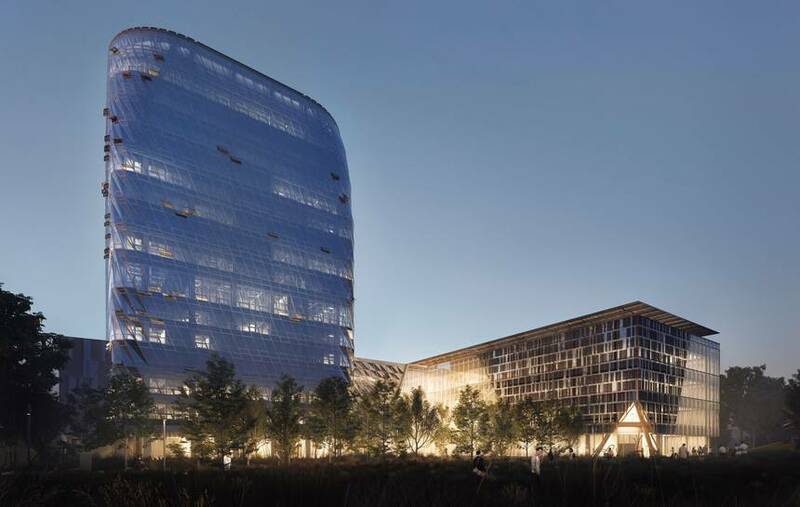 It’s gutsy of the University and the designers to do a zero carbon building in Calgary, the carbon capital of Canada. There is so much more going on here than just a shiny new skin.